This collaboration seeks to speed up development and manufacturing processes in aerospace projects through an open competition based in co-creation and micro-manufacturing. Two months after the announcement of the first investment of Airbus Ventures in the US-based motor vehicle company Local Motors, the two companies have launched their first joint pilot project for the co-creation of the next generation of commercial drones. The kick-off for this new crowdsourced way of teamwork, planned for this coming April, will take the form of an open competition offering the opportunity to identify and design the premium drone air vehicle configuration, featuring enhanced safety, commercial drone operation for civil purpose, particularly cargo transportation. The top selected projects will then be reviewed before potentially becoming part of an industrial program. Attractive incentives will be awarded along with many opportunities for the top winners. 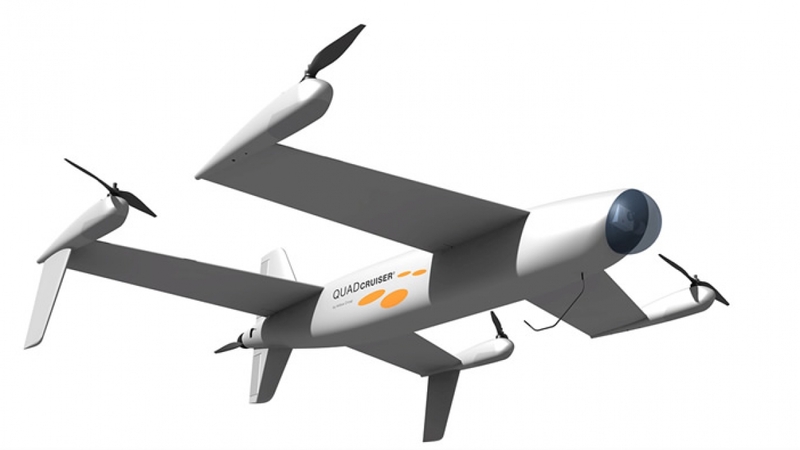 The starting design of this competition would be Airbus Quadcruiser’s hybrid concept, combining the VTOL (Vertical Take-Off and Landing) and hovering capabilities of the well-known quad-copter design with the speed and cruise efficiency of a fixed-wing aircraft by using an additional pusher motor. In May 2015, Airbus Group announced a plan to establish its Silicon Valley operations with a fully independent venture capital fund and an innovation center branded A3. With an initial capital of $150 million, Airbus Ventures’s main mission is to identify and invest in the most visionary entrepreneurs in the global aerospace ecosystem. By partnering with Local Motors, Airbus Group will leverage the synergy of Local Motors’ experience and expertise in global co-creation and local micro-manufacturing with its depth of technical and engineering knowledge as a major aeronautical manufacturer. “This partnership underlines the high interest of the Airbus Group to engage in the commercial drone segment, challenging traditional aerospace processes and driving our organization towards adaptability in this dynamic and rapidly growing market,” said Jana Rosenmann, SVP Head of Unmanned Aerial Systems at Airbus Defence and Space. Local Motors is a technology company that designs, builds, and sells vehicles. From bytes-to-bits, the Local Motors platform combines global co-creation with local micro-manufacturing to bring hardware innovations, like the world’s first 3D-printed car, to market at unprecedented speed. Discover more at localmotors.com and on Youtube. To read the news story on the Airbus Group website, press here.